We can only hope that Mr. Harari, who resides in Israel, did not have the following video footage in mind which I would then start witnessing in a few decades on a European street corner. Nothing peculiar thus far, we have this all over, however, given Saudi dress-code for women it gets hard to follow who is who as all figures twist and turn. Furthermore, the family-loving Muslim women do something that seems out of the ordinary. In order to land better punches into the face of her adversary, the woman on the left can be seen repeatedly dropping her own baby and picking it back up. Although there is no direct sound with it, the child is clearly unhappy and confused. 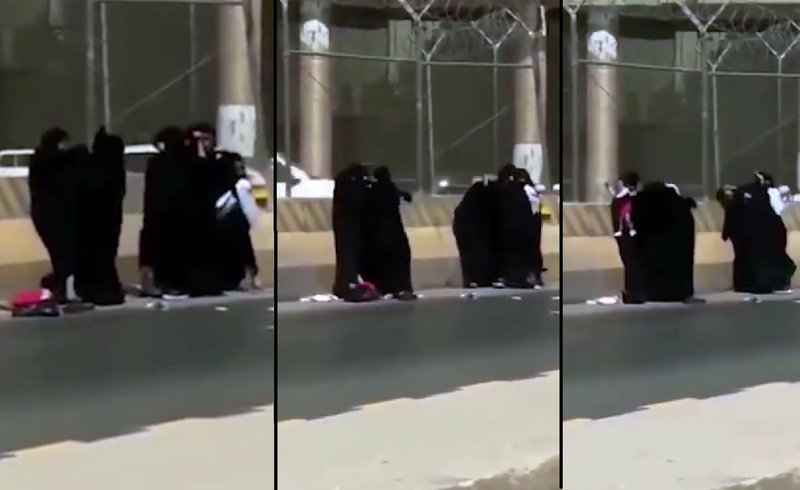 It was clearly recorded from a car driving in Riyadh, the Saudi Arabian capital, and shows a mass catfight between five burqa-clad women. As my twitter ban has just been lifted, I will not dare to say anything on the cultural background or whether or not it is necessary to see these scenes in Europe or the US. Luckily for me, conservative voice Mr. James Woods has done just that. What do you think about this burqa catfight and Mr. Woods’ reaction? Let us know in the comments section below. 100% freedom of speech, 100% anonymous. they're like "We're full on diversity already." THUGS COME IN ALL RACES CREEDS AND RELIGIONS! hard enough to tell who is who but to have to hold a baby when doing it. screw that.